Lab Grown Diamond Anniversary Gifts. 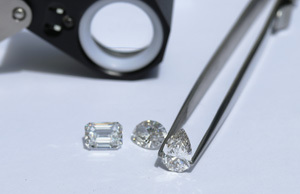 Ada Diamonds offers brilliant, conflict free diamond jewelry. Browse lab grown diamond earrings, necklaces, bracelets and rings. We specialize in bespoke designs, but stock a few ready-to-ship pieces for the perfect last minute anniversary gift. Celebrate birthdays in style with Ada's conflict-free lab created diamond earrings, lab grown diamond necklaces, lab diamond tennis bracelets, lab diamond fashion rings, statement rings and right hand rings. Celebrate your graduate in style with sustainable, conflict free lab diamond jewelry that they'll treasure for years to come. Lab diamond necklaces, lab diamond earrings, lab diamond fashion rings, lab diamond bracelets, guaranteed conflict-free and custom made to order.